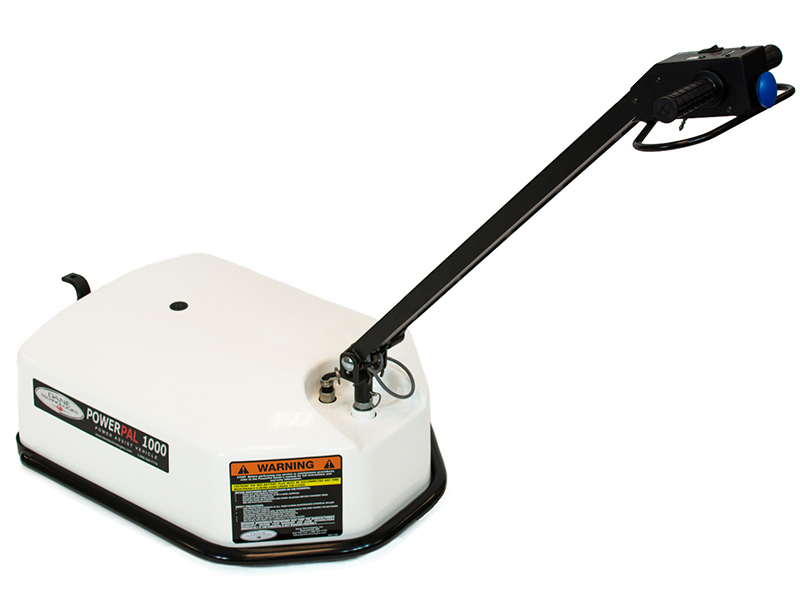 With 7,000 lb (3,178 kg) of towing capacity, the PowerPal 1000 protects your valuable personnel from strain-related injury. 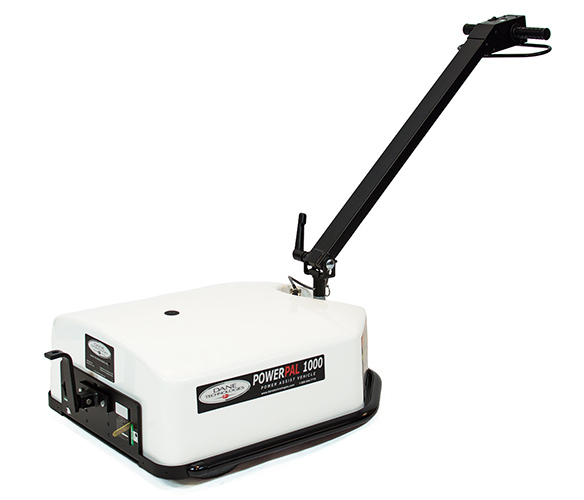 Designed to easily and quietly navigate any workplace environment, the PowerPal 1000 pushes and pulls case carts, hospitality and service equipment, medical equipment, food trolleys, or almost any wheeled cart. Compact ergonomic design and dual-mode tiller steering allow nearly everyone to move heavy loads safely and easily without the risk of strain or injury. 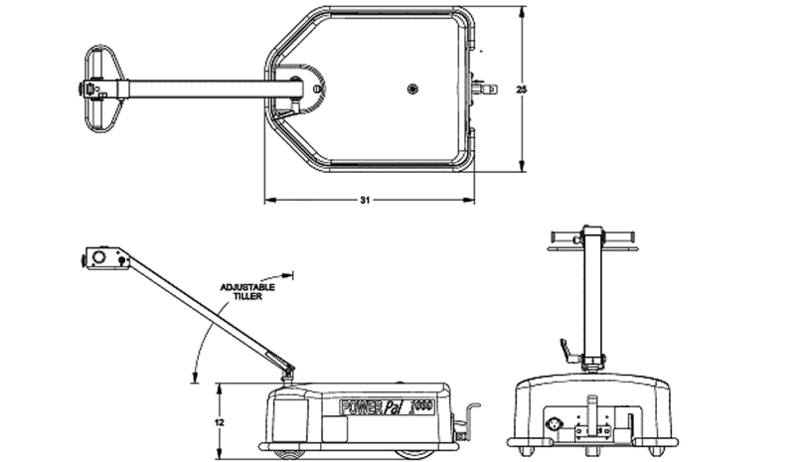 The PowerPal 1000 adapts to almost any cart with no special attachments, and a wide variety of Dane hitching options are also available to make moving almost any wheeled cart or container possible. 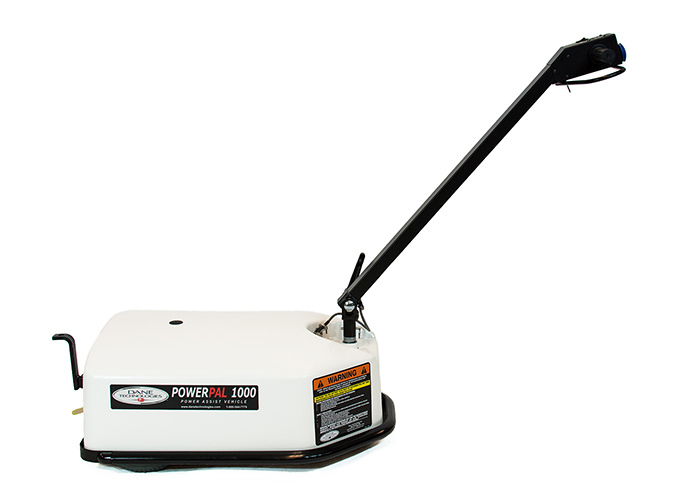 The PowerPal 1000 is purpose engineered for any workplace–with no-mar tires & whisper quiet operation especially designed for safety in high traffic spaces. Low profile, compact design with ergonomic steering tiller makes any material handling task simple, intuitive & reduces the risk of strain or injury. A wide variety of hitching options will accommodate most cart or trailer configurations–allowing you to move almost anything safely & easily. 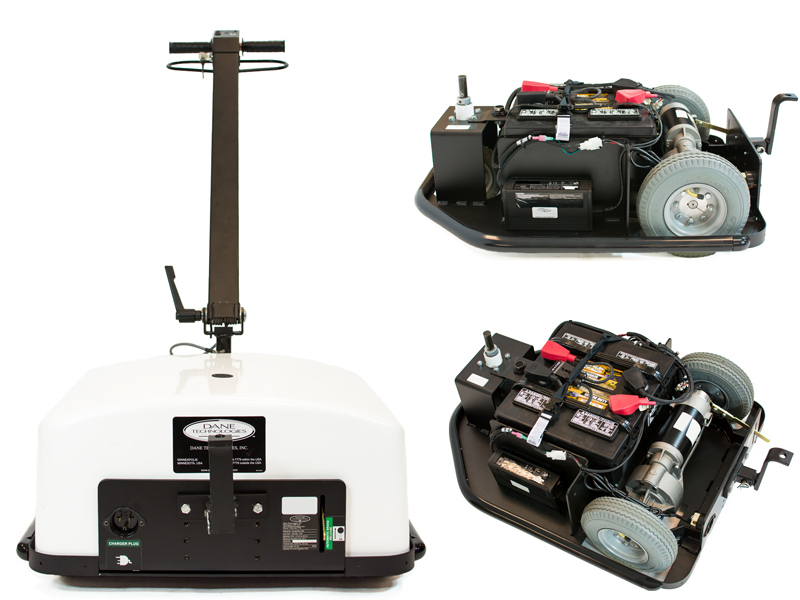 Combining a 0.6 HP motor on a highly maneuverable platform with a whisper-quiet battery-powered drive, the PowerPal 1000 is engineered to increase safety and productivity while easily navigating tight spaces. 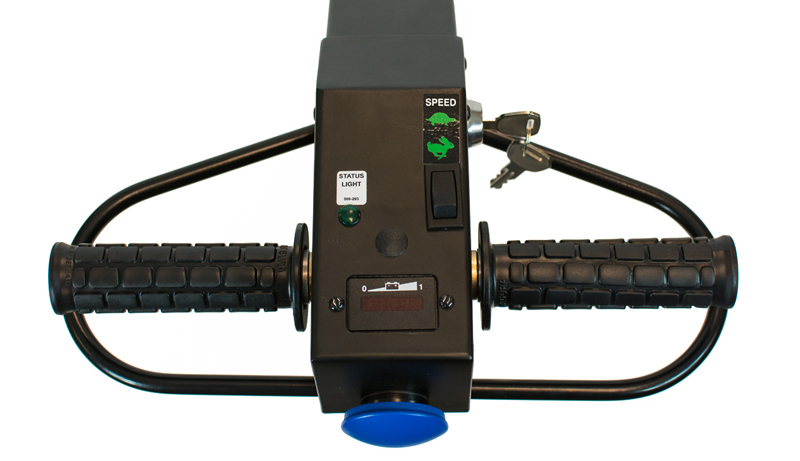 The tiller handle is spring-loaded to adjust to a comfortable operating level for various height ranges and will swing to an arc of 90 degrees. The PowerPal 1000 will operate continuously for 12 hours on a single charge, and its on board 6-amp battery charger can be plugged into any 110-volt outlet or adjusted to meet the variable demand of international locations. Delivering advanced safety features such as Automatic Dynamic Braking and Burst Mode, the PowerPal increases the safety and productivity of your workplace.